SolidWorks 2013 was just announced last week, and if that’s not enough news for you, here’s something else. In a short 18 weeks from today, SolidWorks team will be coming to you live from the Walt Disney World Swan and Dolphin in Orlando, Florida on the first day of SolidWorks World 2013. The fun and excitement is back, countdown has started and registration is open for another episode of SolidWorks World starting January 20 through January 23, 2013. I enjoyed and had a great time at SolidWorks World 2012 and I hope to meet you there again. This entry was posted in Contest, CSWP and CSWAs, Events, General, News, Solidworks, SWW, SWW13, Tips n Trick and tagged Certification, Contest, CSWA, CSWP, SolidWorks Certification, SWW, SWW13, SWW2013 on September 18, 2012 by Deepak Gupta. 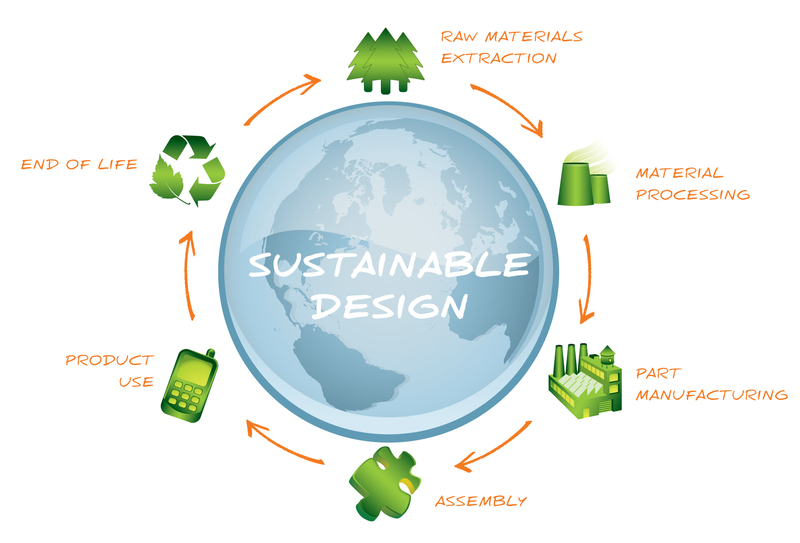 Understand the environmental impact of your product with SolidWorks Sustainability!! Too often, manufacturers operate according to a short-term view. while focusing on the present is important for achieving success in the near term, a total fixation on the marketplace as it is today—rather than on making decisions and investments that take into account anticipated changes—can prove to be extremely shortsighted and ultimately detrimental to your company’s future success. without including a long-term view as part of your business strategy, you may find your organization unmotivated and unable to respond to competitive pressures, or incapable of capitalizing on new green markets and business expansion opportunities. This reflects how critical sustainability will become to your company for achieving and maintaining a competitive edge. This sustainability add-in feature allows products to be designed more sustainable from the start. 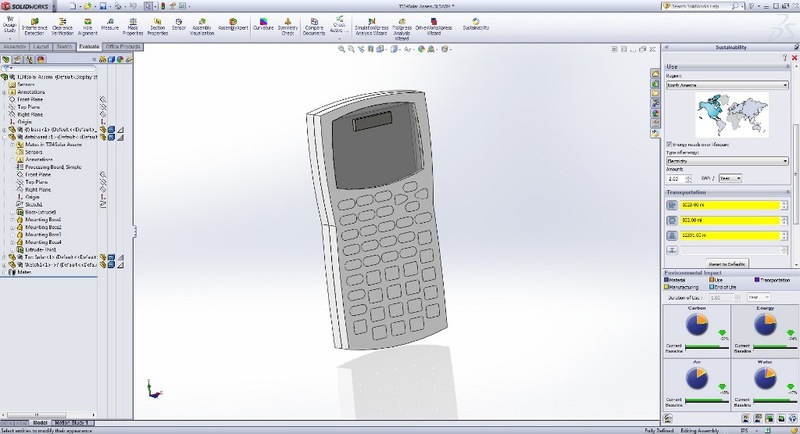 The SolidWorks 2012 product launch includes an improved user interface with more options available to advanced users, and easy access to the latest material additions. Like all SolidWorks products, SolidWorks Sustainability makes a complex process easy to understand and use. Life Cycle Assessment (LCA) becomes another fast, yet critical step in product development, giving you the information you need to make environmentally friendly engineering decisions. 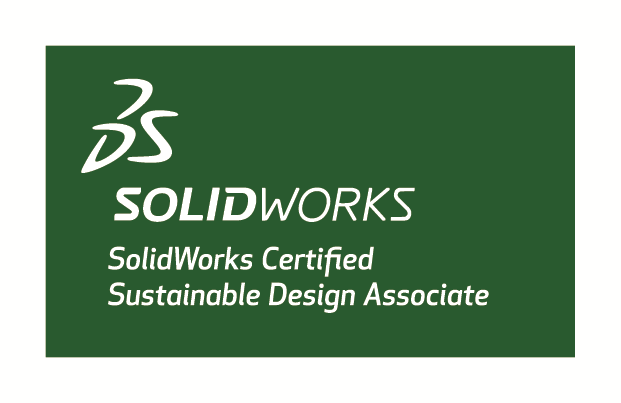 Sustainable design is now SolidWorks simple! As a Certified Sustainable Design Associate (CSDA), you will stand out from the crowd in today’s competitive job market by demonstrating an understanding of the principles of environmental assessment and sustainable design. Employers can be confident that an individual with this certification understands the principles of environmental assessment and sustainable design. This entry was posted in Certification, CSDA, News, Solidworks, Sustainability, SW2012 and tagged Carbon Footprint, CSDA, Green Design, Life cycle assessment, SolidWorks Certification, Sustainability, Sustainable Design on June 9, 2012 by Deepak Gupta. Learning the Green Design by SolidWorks Certification !! The ideas of sustainability and sustainable design are a growing part of today’s product design conversations. Sustainable design, like quality, time to market, and cost, will soon dictate how engineers approach almost every product they develop. Choosing products based on their carbon footprint will be equally as important as design validation. To stay ahead of the curve, you and your company need to understand sustainable design and how to implement it now. Conduct screening-level life cycle assessment (LCA) on parts or assemblies directly within the design window. Search for comparable materials and see in real-time how they affect environmental impact. Create detailed reports that explain a design’s sustainability. This entry was posted in Certification, CSDA, News, Solidworks, Sustainability and tagged Carbon Footprint, CSDA, Green Design, Life cycle assessment, SolidWorks Certification, Sustainability, Sustainable Design on April 3, 2012 by Deepak Gupta.